For good spirits, head west. That’s the message from the Australian Distilled Spirits Awards, where two West Australian distillers managed to tie for the title of best distillery in the land. All up, six of the ten champion awards went to WA-based distillers. Old Young’s, Henley Brook, WA, which makes gin and vodka at Henley Brook, and Kununurra-based Hoochery Distillery couldn’t be separated by the judges, with both receiving the exact same average across their top three scoring entries. However, the two are very different. Hoochery was established in 1995, before the modern age of craft spirits, by a farmer looking to merchandise his excess sugarcane crop. Sitting in the Ord River Valley and producing nearly 50,000 barrels of rum from a custom-built still every year, it is now Western Australia’s oldest, continuously-operating distillery. Kalyn Fletcher and her father Spike Dessert III hand-built their still to deal with WA’s unique environmental challenges: days over 40 degrees, nights below 5 degrees, and lashing rain. Old Young’s is the new kid on the block. Established in 2016, it is producing a range of unusual vodkas: a vodka partially fermented with wine grapes from a local vineyard; a smoked vodka; a Pavlova vodka infused with burnt sugar and kiwifruit. For such a young brand, the ADSA award is a major feather in their cap. The brand’s flagship vodka, Pure No 1, also picked up Champion Vodka at the awards, to go with being named Best International Vodka at this year’s American Distilling Institute Awards. 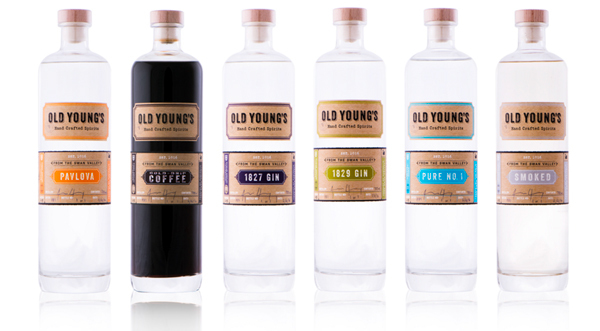 At the American awards, Old Young’s also won Best in Category for its Pavlova Flavoured Vodka, along with two Gold medals, two Silver medals and a Bronze. There were more than 240 entries in the awards this year from almost 70 producers, with 177 taking away medals. The Australian Distilled Spirits Awards is run by the Royal Agricultural Society of Victoria, and is the only national spirits awards in the country.